Update 19/05/2015: We got in touch with LG who confirmed that the LG G4 will indeed be heading to Australia, but there's a bit of a wait. According to an LG spokesperson "it's not looking they'll go on sale until the second week of July in Australia". If you've been eagerly awaiting the launch of the LG G4 then we have good news for you as LG has just announced that it will begin shipping its latest flagship handset this week. Customers in Hong Kong will be the first to get their hands on the device, followed by Turkey, Russia and Singapore. 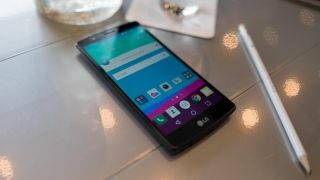 LG will then roll out the G4 to most of Europe, North America, Southeast Asia, the Middle East, Africa and South and Central America - with the handset due to land in the UK on May 28. Australia is rather conspicuous by its absence so we've reached out to LG for clarification on when our Antipodean cousins can expect the LG G4 to head their way. LG is betting hard on the LG G4's success and has so far signed up over 180 carriers and retail stores to partner with to get the G4 into as many hands as possible, so if you've been holding out for LG's latest you won't have much longer to wait.